I kept rewinding, just so it would last longer. 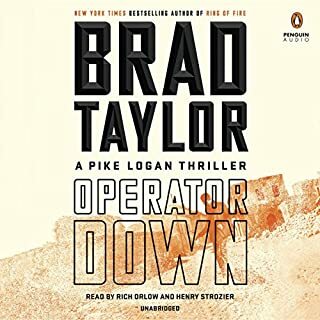 Would you consider the audio edition of Operator Down to be better than the print version? Not sure... I am a voice over artist and read for a living all day. This is why I enjoy audio books, so that I can have someone read to me. I am sure the print version is great, the Pike Logan series is. 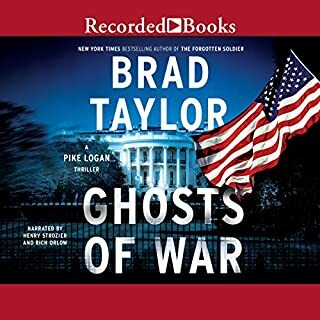 But, I truly have a hard time waiting for another Brad Taylor book after I finish one. What other book might you compare Operator Down to and why? 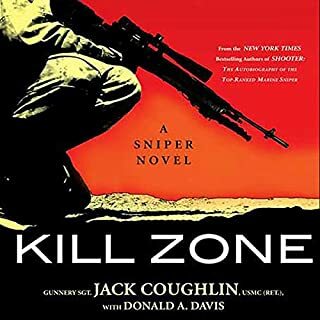 This series is as close to Vince Flynn as I think one can get, but on a different character set... and, in some ways better. What does Henry Strozier and Rich Orlow bring to the story that you wouldn’t experience if you just read the book? The character depth. Yes, it takes time to understand the 2 person narration in the beginning of the series, but once you get it, it is fantastic. I think any change now to the narration set up would be, well... terrible. I totally could have run it in one sitting. But, it would be like opening all of your Christmas and Birthday presents at one time when you are 10 years old, then have nothing to look forward to for the rest of the year. This is why I find myself rewinding chapters. Not because I am confused, but because I don't want it to end. Mr. Taylor - I have never met you and I doubt I would ever have the opportunity. But, I am truly a fan. Not in a stalker way, but in a "thank you for your service and sharing great stories with me" kind of way. Now, stop reading this review and get back to the next book please. As a storm rages across the Mediterranean Sea, a terrifying distress call is made to the Italian Coast Guard. Days later, a body washes ashore. 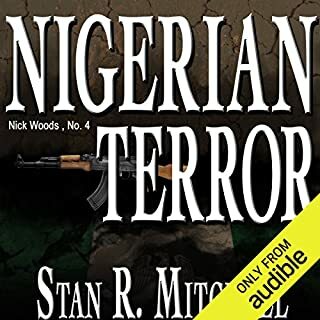 Identified as a high value terrorism suspect (who had disappeared three years prior), his name sends panic through the Central Intelligence Agency. Where was he headed? What was he planning? And could he be connected to the "spectacular attack" they have been fearing all summer? Wrapped up so quick it was as if the author just wanted to be done with the book. Always Good. Love the series. 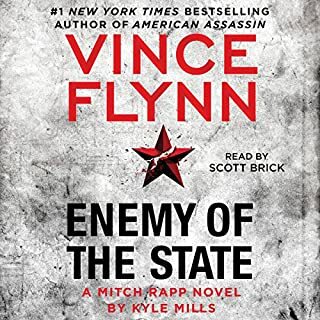 While I felt that some details normally associated with a Mitch Rapp book were a bit rushed, this book still kept me interested and intrigued. I wish the author would've killed off the main characters of the series would come to a close. This is the last book I listen to from the author. What were producers thinking when they hired Ken..
Would you try another book from Vince Flynn and/or Ken Kliban? Ken Kilban's narration is abysmal. What on earth where they thinking when they said.. "this is the guy." He makes Mitch sound like a whining 6 year old. Come to think of it, everyone in the book sounds like an irritated child. Additionally, his constant staccato delivery is mind blowingly annoying. I wish Mitch would have shot me. 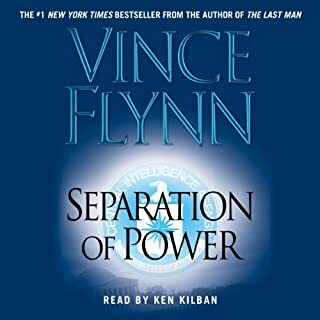 I love the Vince Flynn / Mitch Rapp series, this is just the absolute WRONG guy to put as the narrator. Let him do children's books. Do you think Separation of Power needs a follow-up book? Why or why not? I love the series. Yes, more please.... just... NOT KEN. I thought "No Ending" reviews were a joke. Would you try another book from Vince Flynn and/or Nick Sullivan? 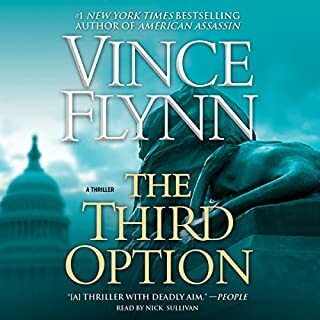 Would you ever listen to anything by Vince Flynn again? Who would you have cast as narrator instead of Nick Sullivan? There is no ending. I mean, this book leaves everything in the air! I think the author had some kind of seizure and just stopped writing. How does this get published? I am really ticked. Not in an entertained way... It's like watching a TV show for 2 seasons, then on the season finally, there is a huge cliff hangar and the show is canceled. What a joke. This one sucked. With Russia expanding its influence from Syria to the Baltic States, the Taskforce is placed on stand-down because of the actions of one rogue operator. Meanwhile Pike Logan and Jennifer Cahill travel to Poland, hired to verify artifacts hidden for decades in a fabled Nazi gold train, only to find themselves caught amid growing tensions between East and West. A Russian incursion into Belarus under the facade of self-defense is trumped by a horrific attack against the United States. 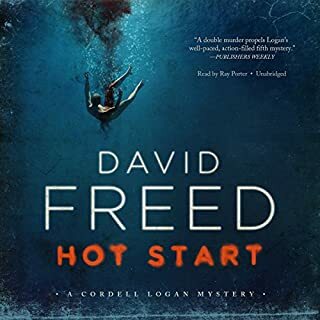 Loved the book start to finish. Great narration. Humor. Action. Such a great series. 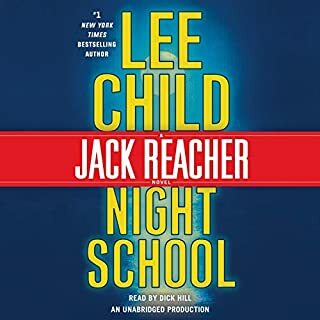 What disappointed you about Night School? It just drug on. NO excitement what so ever. I wanted this book to end sooner. Worst Reacher book to date. No sure. But, if I get a Reacher book again and the first 2 hours are this lame, I won't finish it like I did this one. Narrator was fine. Story sucked. Let me think... I could blather on with no point to my review or thoughts... but then that would be as boring as this book. Lee... seriously. Were you on a gallon of Nyquil when you wrote this? It is really a sleeper. Love his delivery and style. One of my new favorite narrators. Thank you Ray for bringing the story to life. Would you try another book from Jack Coughlin and Donald A. Davis and/or Luke Daniels? Not if Luke Daniels is the Narrator. I am not even 3 hours into this book and the Narrator just ruins the story. Every 'character voice' this clown reads is always in a gruff, mysterious, rough, breathy, ridiculous tone. It's like every single moment in this book, he believes, requires a ridiculous accent and voice. It's maddening. What was most disappointing about Jack Coughlin and Donald A. Davis ’s story? I am disappointed that I wont be finishing it. I would rather stab pencils into my ear than listen to this wanna-be narrator read any longer. Every single thing that comes out of his mouth is annoying. The audio is WAY over processed. The EQ is too high. He makes every character breathy and annoying. I just want to grab him by the collar and shake the daylights out of him. Very few narrators are truly THIS awful. He should try his luck at Japanese animation where every word requires some dark, ridiculous accent that is so far of the mark of reality it's stupid. This guy needs to have a muzzle on his mouth. With Luke at the helm, there are no redeeming factors at all. I am disappointed to see that he narrates the other books in the series as well. 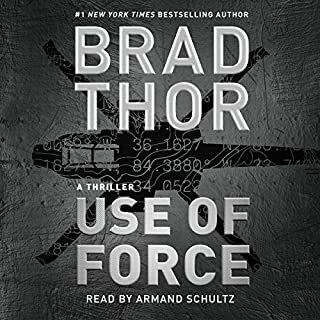 I doubt I can finish this book, which means there is NO WAY I can tolerate his ridiculous drone through a series... I would probably have to pour acid into my ears the relieve the pain of this guy.